Jonathan Martin is one of the most sought after comedians today. He is considered one of the great comics of his generation. 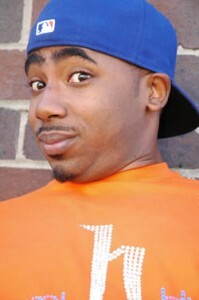 You can see him across the world on top TV shows, DVD’s and the biggest stages in comedy. Jonathan Martin was born and raised in New Jersey. While many kids his age were known as “class clown” his classmates knew him as a comedic trailblazer. Just barely into his senior year of high school, he was the only African American to attend Ringling Bros. & Barnum and Bailey Circus Clown College. While performing and writing sketches for Ringling Bros., the great Universal Soul Circus recruited Jonathan away to join the largest specific-market circus in the world. With such broad knowledge of humor, he began to pursue the standup comedy circuit and explored entertainment television. Jonathan Martin was featured on MTV s’ with his on point impersonation of Busta Rymes, starred in national commercial campaigns for the GAP clothing company and made his acting debut on the Dave Chappelle Show. He now performs at top comedy clubs and theaters around the world. Jonathan has toured the world with his comedy including the USA, Europe, South America, and Africa. He has also appeared on BET’s “One Mic Stand”. His writing, slapstick, improvisation and sketch talents make him a favorite among club owners and casting directors alike. Audiences love his quick wit and his ability to respond to any situation. Hecklers experience this talent firsthand. Jonathan has also written for many projects and people such as Tracy Morgan. He is famous throughout urban communities as the king of snapping: instantaneous verbal jabbing. His snapping talents can be seen on his latest DVD: Street Snaps, produced by FUBU FILMS and released by Image Entertainment. One of the highlights shows him easily winning a snapping contest over hundreds of New Yorkers.